GIA Project Foundation (GPF) mission statement is to provide educational and medical assistance to orphan children and widows; relief materials to at-risk, persecuted and marginalized Ogoni tribe members. GPF seeks to inspire hope to the Ogoni through the provision of tuition fees, uniforms, shoes, bags, books and other school necessities to Ogoni children especially the orphans. GPF fills a critical need in Ogoni by providing poor and economically disadvantaged rural village children with the necessary educational assistance to prepare them for secondary education, college and the world beyond. 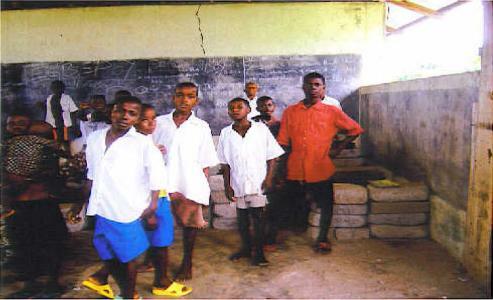 GPF seeks to address the inadequate structure of educational opportunity suffered by the Ogoni children in Nigerian. The Ogoni tribe, with a population of about one million, is the poorest tribe in Nigeria, even when they have the resources (oil) that sustains Nigerian economy. 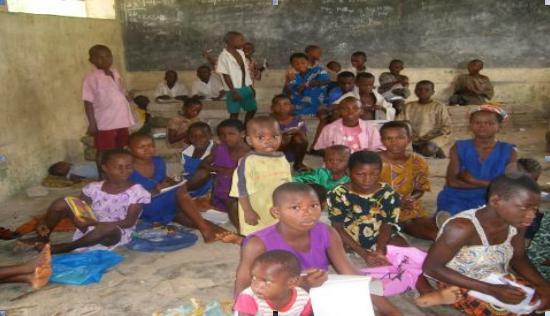 ​The Ogoni children do not have equal opportunity to education as many children cannot afford basic education; elementary and secondary education in Nigeria. Research in Ogoni revealed that 50% of Ogoni children do not have elementary education, 70% of Ogoni children do not have secondary education, and 90% of Ogoni children do not have college education. ​The stone slabs you see here are what the people use for desks. This as opposed to lying on the ground trying to do writing. 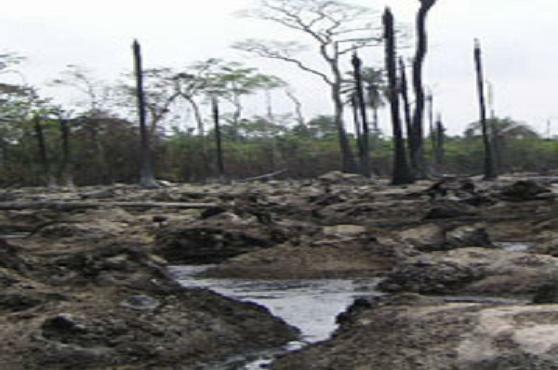 ​Efforts by the Ogoni calling on the Nigerian government and oil companies operating in the area to assist have failed; instead the reaction from the government was to approve of the genocide making the situation awful. To date, there is no drinking water, commercial roads, health centers, or electricity in Ogoni. They drink from polluted streams and rains water, use bush tracks for transportation, and use lamps/lanterns. Many Ogoni died of treatable diseases and thousands lay sick in their houses. Malnutrition is raging the region, and hundreds of epidemics killing thousands. The Ogoni tribe is the most disadvantaged tribe in Nigeria as they do not have the economy, are politically marginalized and their environment has been polluted by oil drilling activities. No impact assessment studies have been conducted in the area and no clean-up exercise after 40 years of oil drilling. There have been so many oil blowouts, spillages, and leakages in the area rendering human and aquatic lives miserable in the region. ​Studies reveal that 80% death in Ogoni are as a result of water-borne and air-borne diseases and one ways to tackle this is to provide good drinking water. This poor village dwellers have no access to a good drinking water, they drinks polluted streams and rains water which exposes them to water-borne diseases such as Cholera, Botulism, Typhoid, Hepatitis A, Dysentery, Cryptosporidiosis, Polio, Giardia, etc. Even today there is no good drinking water, no commercial roads, no healthcare facilities, and no electricity in the Ogoni region. Many school buildings and churches burnt during the genocide are still dilapidated. The environment is polluted by continual oil exploration and exploitation since 1958; the many oil blowouts, spillages, leakages, and gas flares in the area render human life miserable. The government and oil companies operating in the region have done nothing to alleviate the suffering of the Ogonis. The environment has been decimated, and the result is extreme poverty and hopelessness. 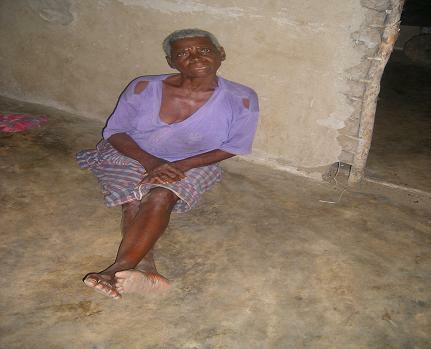 A sick widow too poor to travel for ANY medical treatment. No financial means, nor assistance from the government. ​Our educational assistance program seeks the providing school tuition, uniforms, shoes, bags, books and other school necessities to as many elementary and secondary school children as we can support in Ogoni. This program will gets these children out of the street into the classroom, which will reduce street violence committed by children and offer them the opportunity to earn a basic education to develop a vocation or career for themselves. ​Presently, we have partnered with CrossLink International, Annandale United Methodist Church, other Local Churches and Spirit Individuals in the implementation of our projects. We seek to extend our partnership with your organization in this life-touching mission to the depressed, suffering, persecuted and marginalized people of Ogoni.